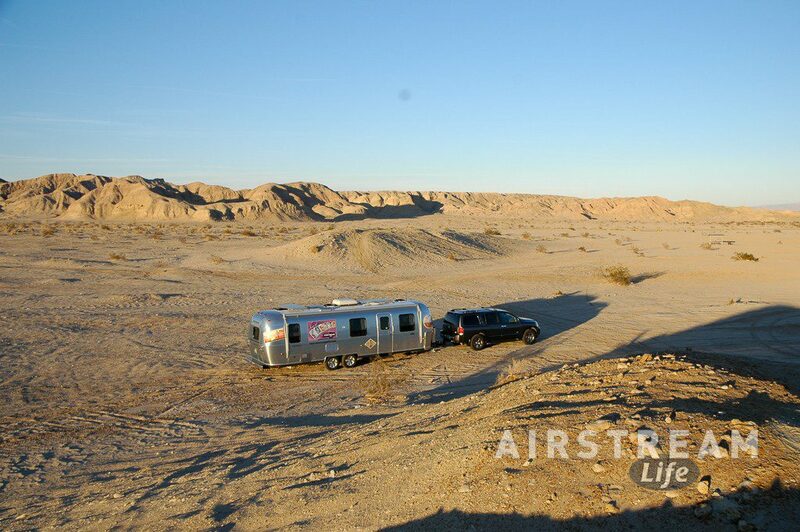 I like trying new things as we travel in our Airstream. 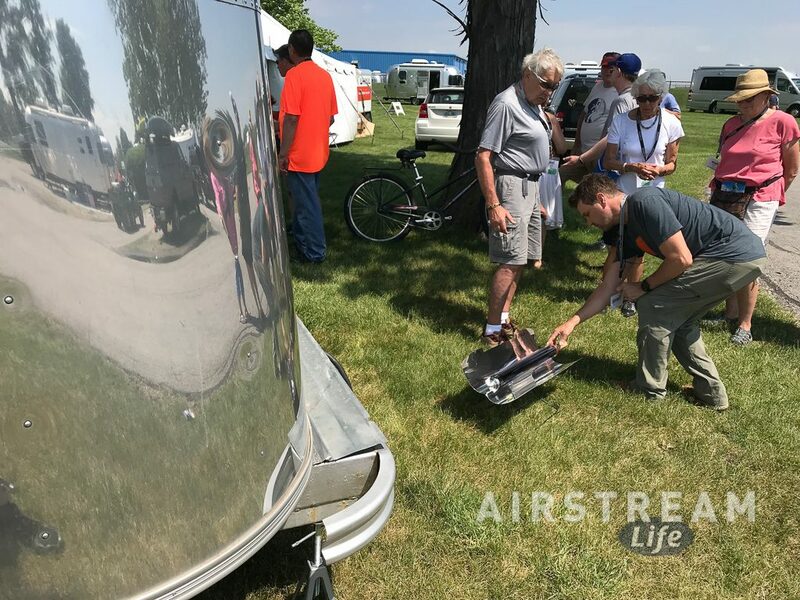 Last week, at Alumapalooza, I saw an earnest Welsh man named Davey Jones (really) demonstrating something I’ve never seen before: a solar cooker that actually makes sense. I have seen solar ovens before. Back in 2005 at the Florida State Rally I spotted someone cooking with a giant solar oven (pictured at right) but I was unimpressed. Although the oven had room for a large pot, it was far too big to be practical for our style of travel. 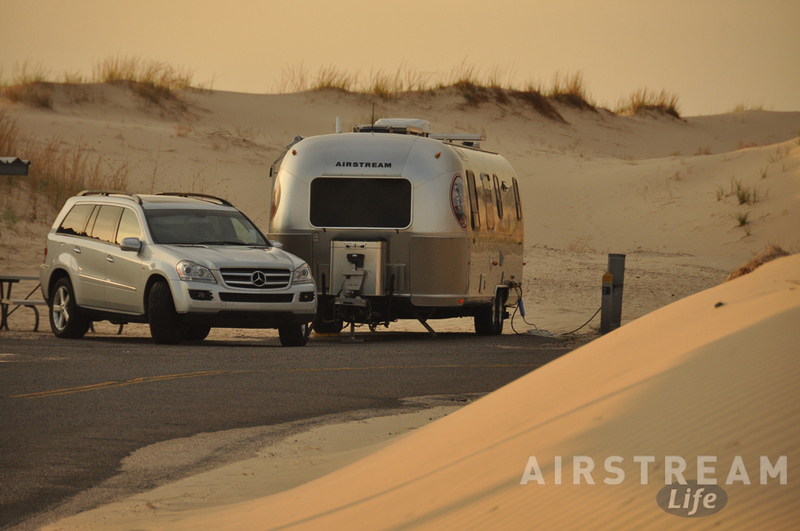 When deployed, it looked like an NASA probe bound for Jupiter. I dismissed it as an interesting but quirky niche item for extremists. Thirteen years later, I’m not so quick to dismiss the power of the sun. 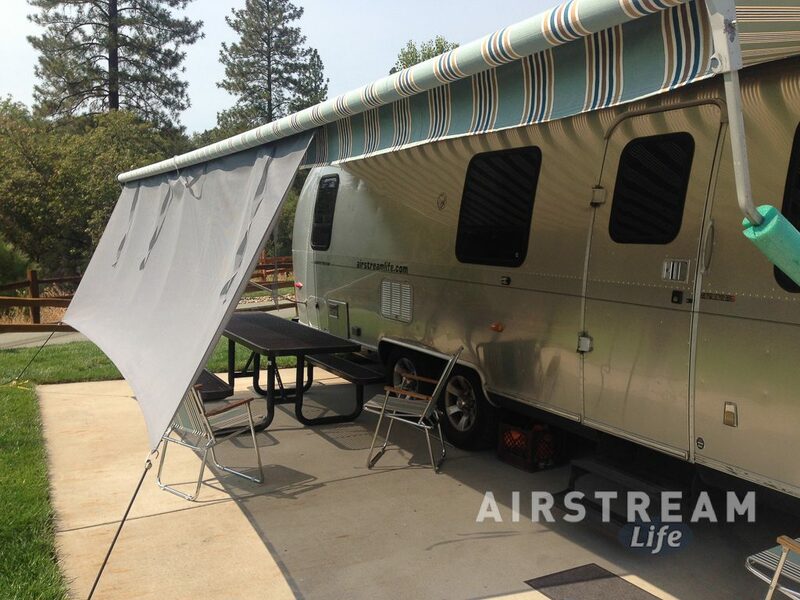 After all my fixed base home and my Airstream are powered by solar panels, and I love them. 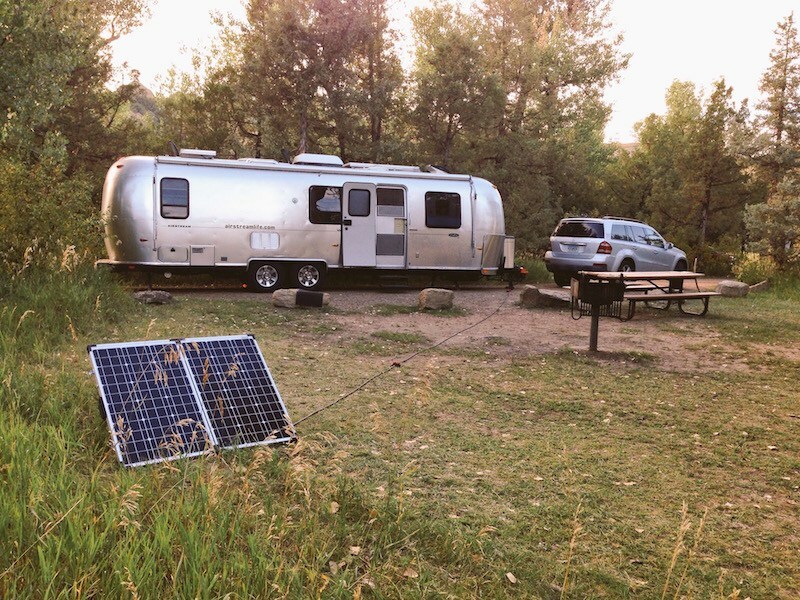 At home the sun provides 110% of our annual power needs, and solar panels can keep us unplugged for weeks during the summer in our Airstream. Davey was showing off the new GoSun line of solar cookers at Alumapalooza. (They’re called “cookers” because they can be stove, oven, broiler, steamer, or water-heater depending on how you use them.) Even in hazy Ohio sunlight he was baking up cinnamon rolls and frying bacon all day long. I’m not sure if I was more impressed at the cooking or the cleverness of his olfactory marketing. The secret of the GoSun cookers is the vacuum tube at the center. It’s basically a Thermos bottle with one-way mirrored glass. Sunlight goes in, converts to infrared as it passes through the glass, and the heat is trapped by the vacuum bottle. This is a quantum leap from the big wood box of 13 years ago. That means that with the GoSun cookers you don’t need a huge reflector area to make a lot of heat. 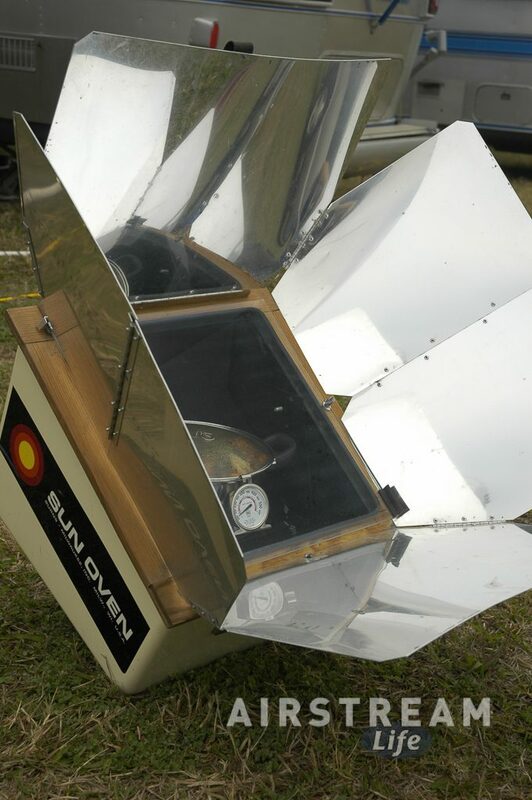 The reflectors on the GoSun cookers is tiny compared to the giant Sun Oven pictured above, and yet the inside of the vacuum tube can get to 550 F. (Most of the time it runs 200-360 F.) The amazing thing is that you can grab the outside of the glass tube with your hands and it won’t even be hot. So you can’t burn yourself on it. The smallest model, the GoSun “Go” (pictured below) is so portable it fits easily in a daypack, and weighs just 2 pounds. It’s perfect for meals for one person, or two people depending on what you cook. The next size up, the GoSun “Sport” (pictured above) is still very packable, and can make enough hot food for 3-4 people. 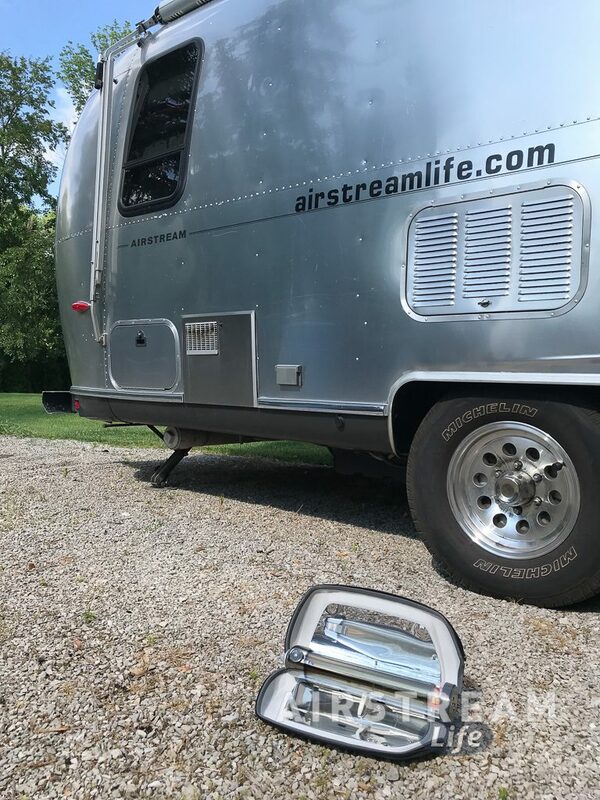 We got the “Go” model to try it out before adding it to the Airstream Life Store (as I do with every product we carry), and tried it out in a friend’s driveway a few days later. I decided to bake some apples for my first trial, and sweeten them with cinnamon, xylitol, and nutmeg. Whatever you cook has to fit into the cylindrical cooking tray. In the case of my apples, that meant peeling them and cutting into chunks. Then I just put the apples into the tray, slid it into the cooker, and placed it in the sun. The cleverness of the GoSun design started to become apparent when I did this. The hardshell case of the “Go” model is zippered, so deploying it is simply a matter of unzipping. A brace holds the two sides of the case open and the reflectors are built right in. There’s even a little dial attached to the tube to make it easy to locate the optimal angle to the sun, and an adjustable folding stand attached to the case props the whole thing up. Once you slide the food tray in and point it at the sun, your work is done. After a few minutes in full sun the interior will be hot enough to start cooking. Steam begins to waft out of the end of the vacuum tube. You can take a peek at progress by sliding the food tray out for a moment. My big mistake was not believing what I saw. I really couldn’t believe that the apples were cooking, so I left it in the sun for much longer than necessary, and when I finally removed them they were basically applesauce. Delicious applesauce, sure, but not quite what I had planned for. Fortunately, I had prepared three apples and could only fit 1.5 apples worth in the first batch, so did a second batch and cut my cooking time in half. 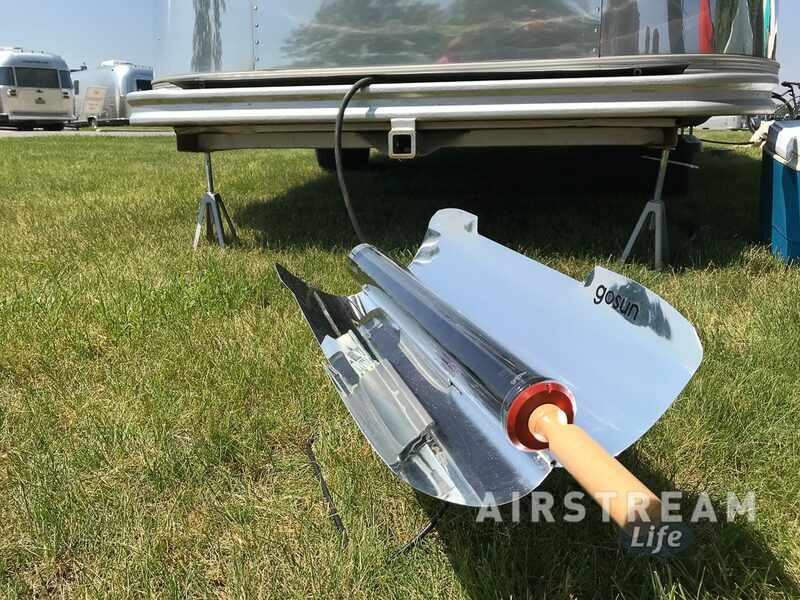 Now, you may be thinking “I already have a stove and oven in my Airstream, so why do I need this?” I thought the same thing at first. Then I realized, a big part of the joy of travel and camping is cooking outdoors for family and friends. Lots of people carry charcoal or propane grills. Others carry Dutch Ovens. You don’t need them but it’s so much more fun to prepare a meal slowly, outdoors, and while you’re waiting for that delicious slow food you can enjoy talking with your friends. I particularly like that the GoSun cookers come with little silicone baking trays so that you can make cupcakes and such (I used them for the apples, too), and can be configured to make hot drinks. This gives them a lot of versatility. They’re also easy to clean; you just slide out the stainless steel tray and wash it. GoSun includes a bottle brush to clean inside of the vacuum tube if it gets a little food stuck to it, but most of the time that’s not necessary. So cleanup and packing took me about two minutes. The only limitation I spotted with the “Go” model is that the food capacity is pretty small, best for one person or a small side dish (or a topping like I made). I think we’ll upgrade to the “Sport” model for future cookouts, and that way we can make things for all three of us. If you get the Sport, be sure to get the “Pro Pack” so that you have all the accessories you need including a case. If you have one of these, please put in a comment below to tell me your favorite thing you’ve made in it. I’m looking forward to further experiments with our portable solar cooker, and your ideas would be welcome!